Understand how the company card process works from the cardholder's perspective. How does the card statement import feature work? The company card import feature allows Finance to import company card statements on your behalf. Card expenses will then be generated from the statement and are sent to your account. 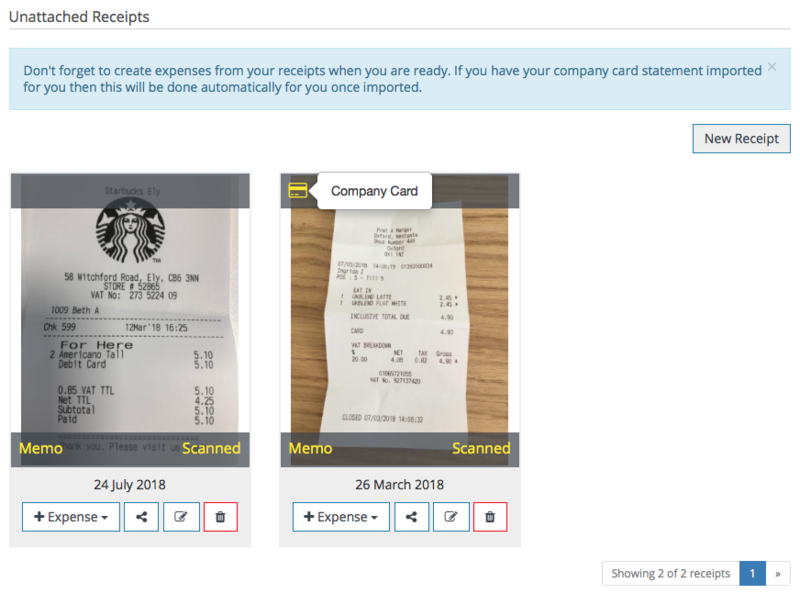 If you have already created the expenses or have uploaded any receipts, the expenses and receipts will automatically match up with the import saving you time at the end of each month. Please note: If creating expenses in advance, it is important to ensure you correctly record the amount, date and currency otherwise the import feature will not be able to match your expenses. Browse your computer on the web-portal. If you have an email receipt, you can forward this to your account by sending to receipts@expensein.com. When you capture your receipts, you can specify the purchase method used. The captured receipts will reside in the Unattached Receipts area of your account. You are able to see which receipts were purchased using your company card as they will have a yellow card icon on them. The imported card expenses will be sent to your Draft section and any matching draft expenses and receipts will be automatically matched to the statement. If the import process could not find any matching expenses then the draft expenses will be created for you automatically. 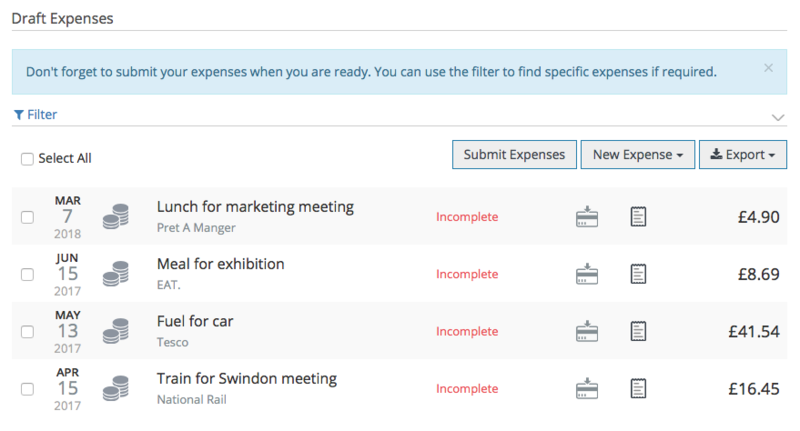 These expenses will have an Incomplete tag next to them to show that they still need to be completed before they can be submitted. You can click the expense to expand the information and click Edit to complete the expense details. Please note: If you didn't upload your receipts prior to the import, you can manually attach the receipt to the expense by editing it and clicking Choose a receipt. Once you have updated any incomplete expenses, the Incomplete tag will disappear which means you can submit the expenses when you are ready.